We understand all the trauma you might be facing with the sexual disorder you or your spouse might have developed. 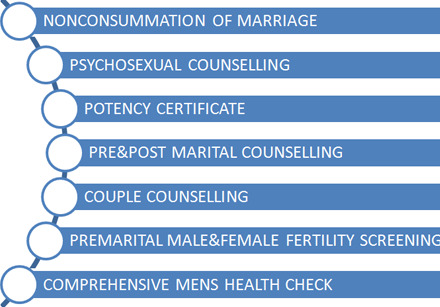 With a boon from the advanced medical sciences, we have raised a health clinic that is dedicated to provide top-notch services related to men’s health. 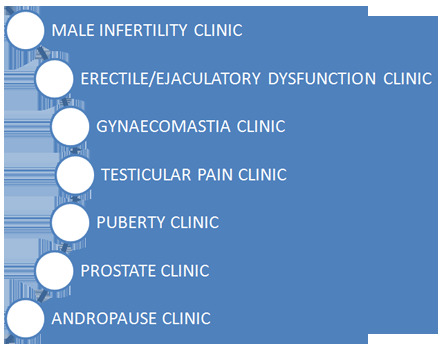 Erectile dysfunction assessment including Nocturnal Penile Tumescence(Rigi Scan), PERISCOPE, ENDOPAT, O2C, visual sexual stimulation & penile prosthetic surgery, curvature surgery, lengthening and We are offering a new mode of treatment EXTRA CORPOREAL SHOCK WAVE LITHOTRIPSY.